ASM Truck is used to simulate trucks or, together with ASM Trailer, tractor-trailer combinations. ASM Truck for virtual test drives in virtual environments. 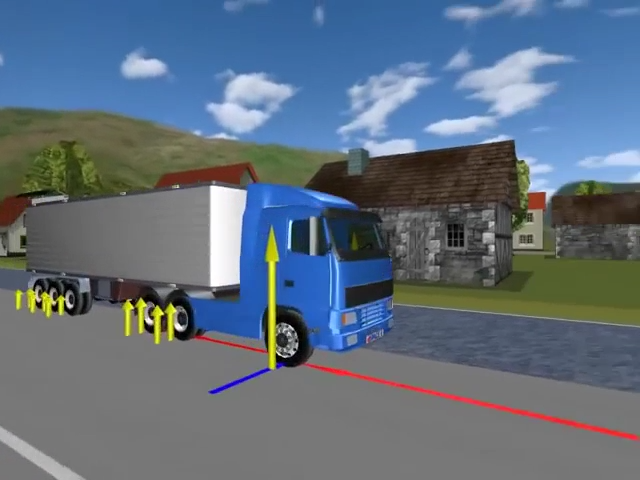 Simulating truck and trailer dynamics during braking on split-µ with and without ESP. A truck with two trailers starts sliding on a road with split µ conditions. 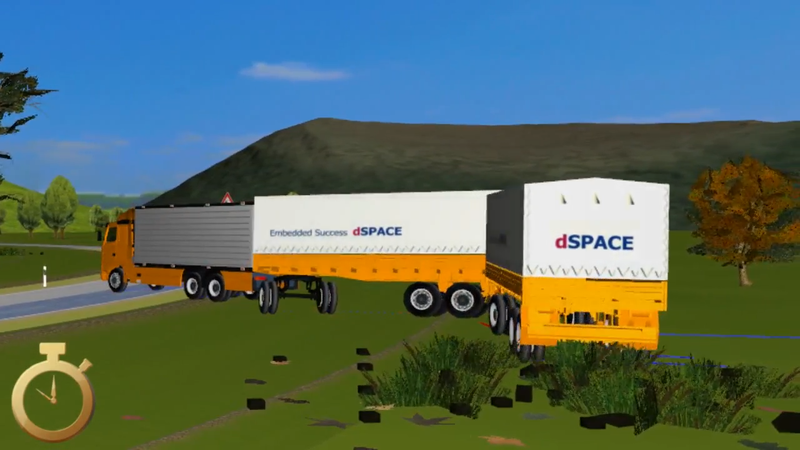 Simulation of dSPACE ASM Truck on the road. 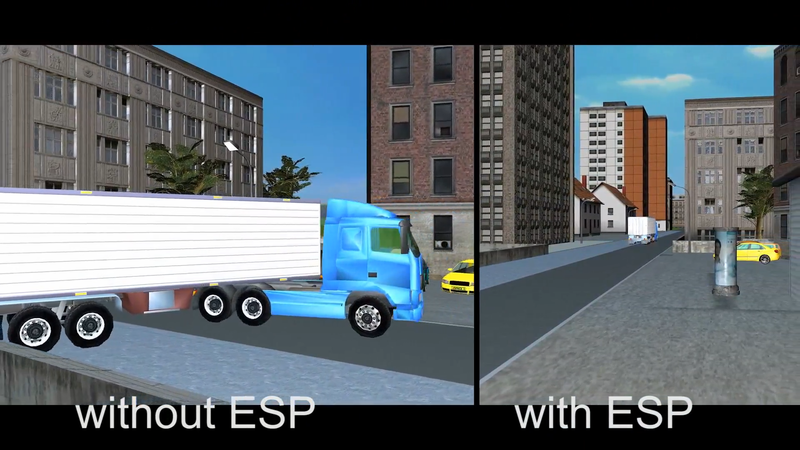 Simulating truck dynamics during braking w/ ESP with the dSPACE ASM Truck Simulation Model. 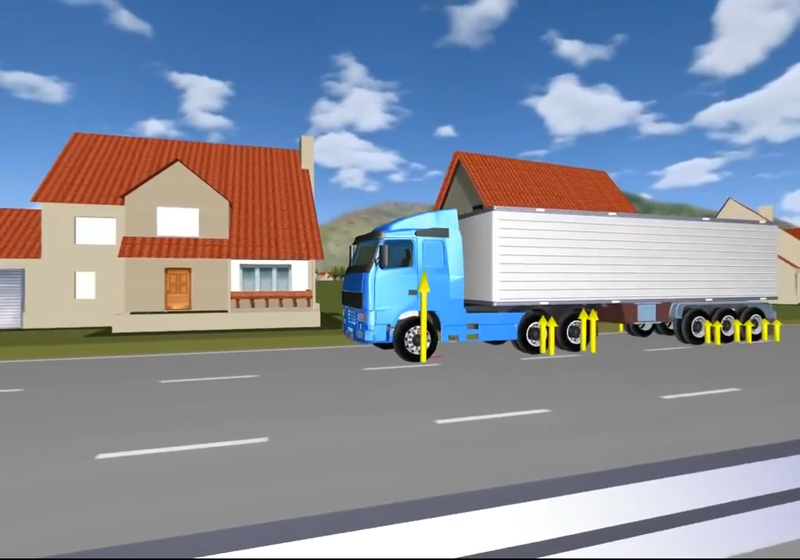 Simulating truck dynamics during braking without ESP with the dSPACE ASM Truck Simulation Model. ASM Truck equipped with a radar sensor. The sensor detects the traffic ahead or potential collisions. The adaptive cruise control (ACC) reduces speed or initiates braking. ASM Truck is used together with ASM Trailer to simulate a truck (tractor with dolly) or a tractor-semitrailer combination. The models contain more than 30 degrees of freedom (DoF) in the multibody dynamics and more than 25 DoF in the powertrain depending on the confi guration. The truck model features a torsional frame and truck cabin. The entire vehicle model can have an arbitrary number of axles, each of which can be steered, driven and equipped with twin tires. Even road train, thus multiple trailers, can be simulated. It is easy to modify the confi guration even during run time without manipulating the model. For example, during the simulation, axles can be activated and deactivated, and trailers can be hitched and unhitched. All of the Simulink blocks in the models are visible, so it is easy to add or replace components with custom models to adapt the vehicle’s properties perfectly to individual projects. The ASMs’ standardized interfaces allow the vehicle dynamics model to be easily expanded to meet specific requirements. Roads and driving maneuvers can be created intuitively by using graphical tools with preview and clear visualization All parameters can be altered during run time. 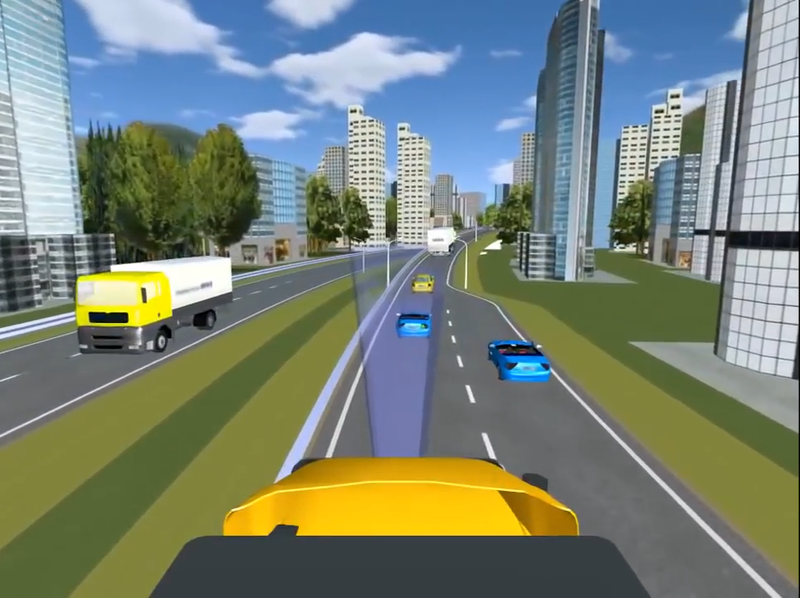 For realistic vehicle simulation, the vehicle model is designed as a multibody system. The model consists of elements such as a drivetrain with elastic shafts, a table-based engine, two semi-empirical tire models, a nonlinear table-based vehicle suspension model with kinematics and compliance, a steering model, and aerodynamics. An environment with a road, maneuvers, and an open- and closed-loop driver is included as well. All parameters can be altered during run time. To simulate brake systems, models of a dual-circuit hydraulics system and a pneumatics system are available as add-ons.